As you struggle to survive in a war-torn country filled with turmoil and chaos, you find yourself in the midst of an all out civil war. A once proud country is shattered into thirteen starving states fighting for their survival, and you realize the fate of your country’s destiny lies in the palm of your hands. You must take to the field in an attempt to defeat the enemy and restore peace. Annihilate the enemy and gain the respect it takes to become a heroic Field Commander! Single-Player Campaign: Delve into the game’s engrossing story while combating an enemy over 30 unique missions. 4 Multiplayer Modes: Compete to be the ultimate leader with 4 different multiplayer modes to choose from – Hot Seat, Adhoc, connect with other players through SOE’s matchmaking server, or take turns using the play-by-email mode. Shrewd AI: Match wits with an increasingly clever enemy and survive the day to become triumphant. Elegantly Simple: No need for complex calculators and measuring tapes. 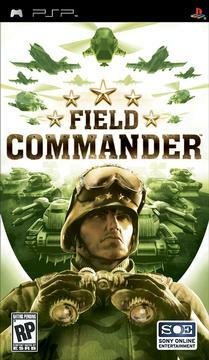 Field Commander lets you focus on what’s important – Strategy. In our many years online, we've had 5,122,905 sets of human and robot eyes examine our website.